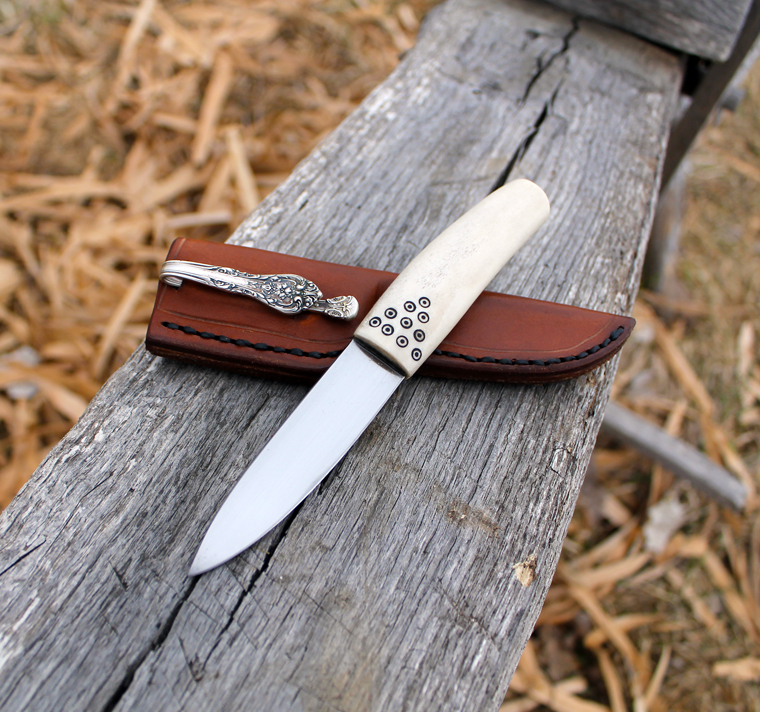 This little knife is for sale. 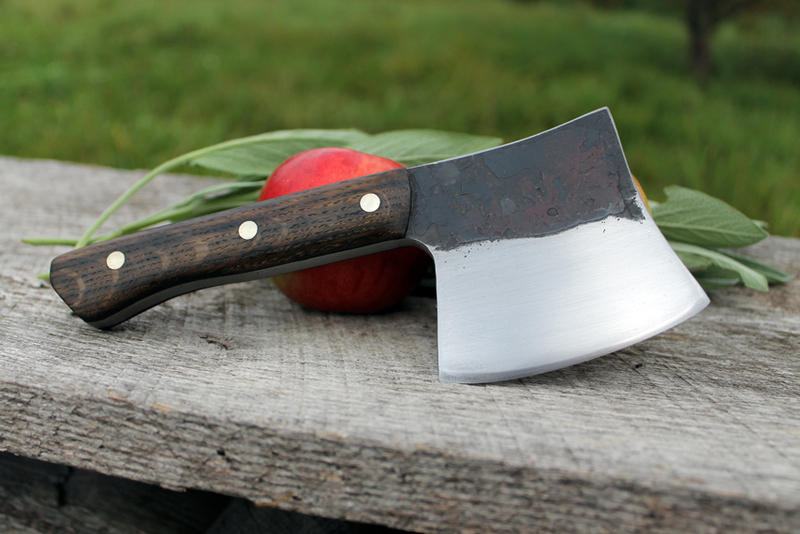 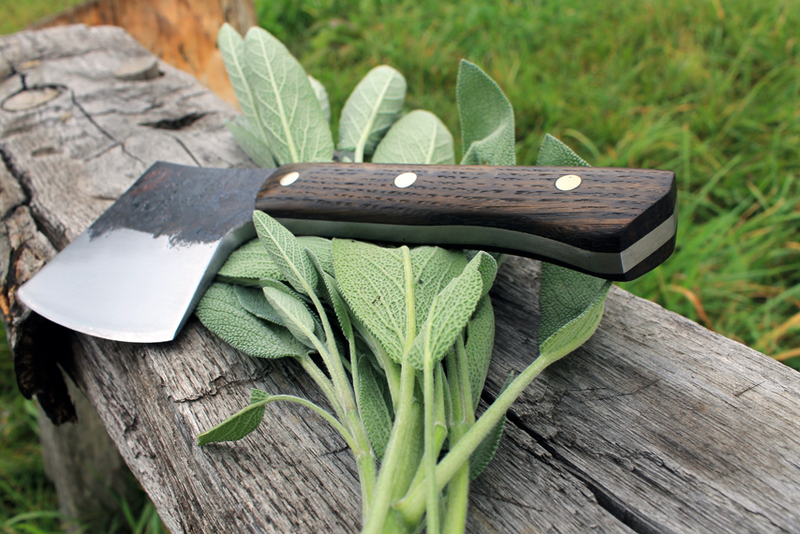 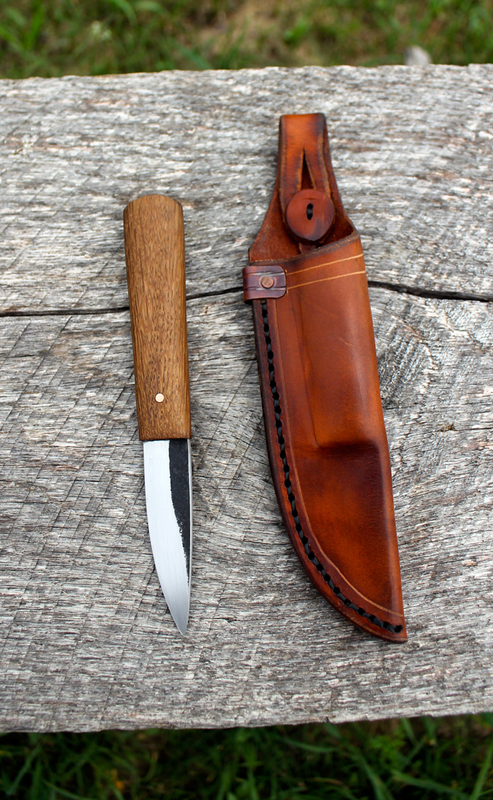 The blade is 1084, and the handle is old growth diver salvaged red oak from lake superior. 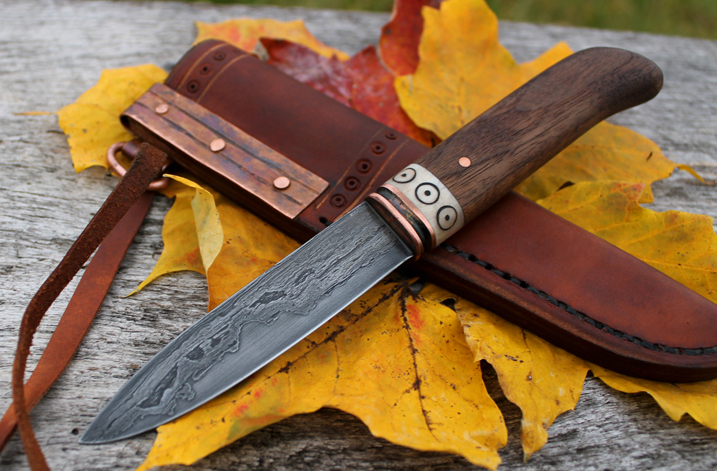 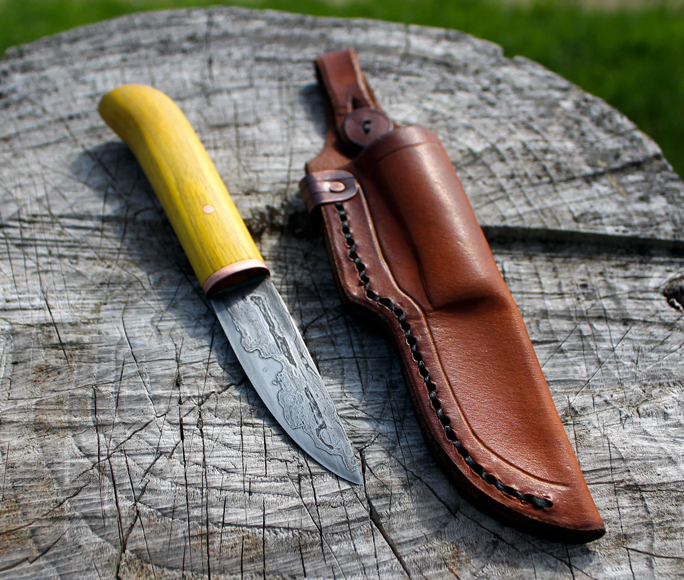 For more info, or to purchase the knife visit my etsy. 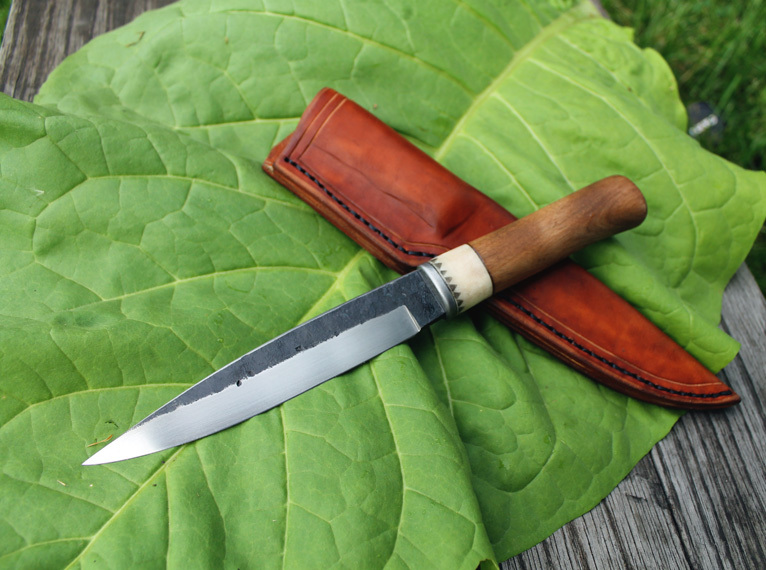 Small Osage knife for sale. 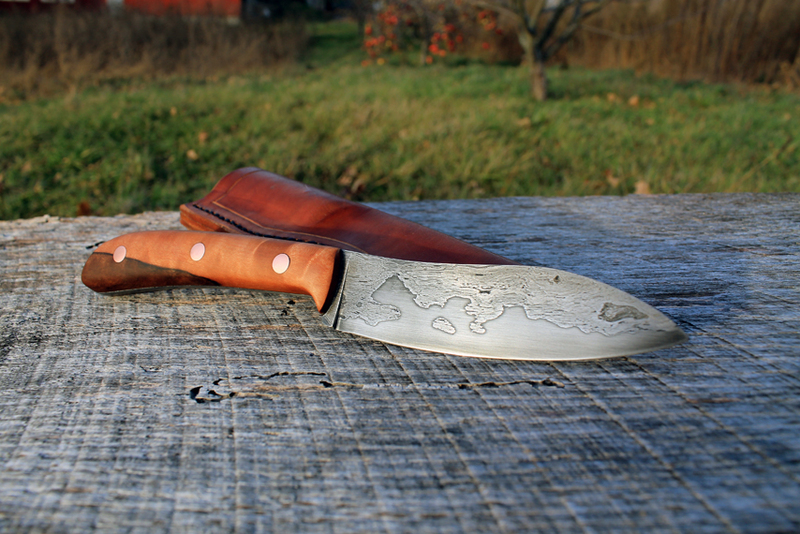 If your are interested the knife can be purchased here. 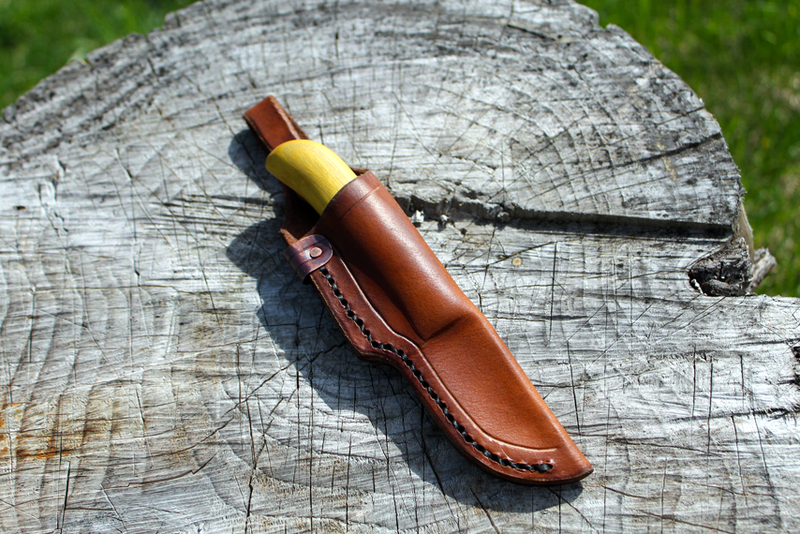 Here is a very small knife I just finished up. 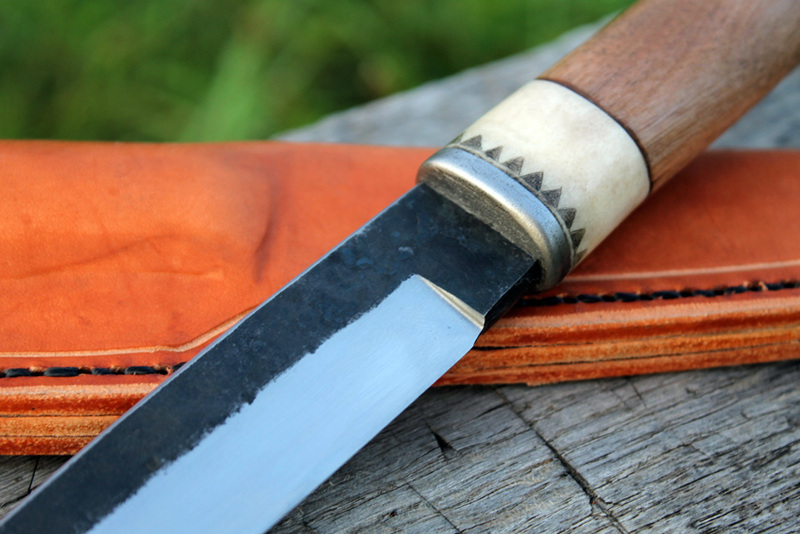 The handle is moose antler with a ring-dot motif. 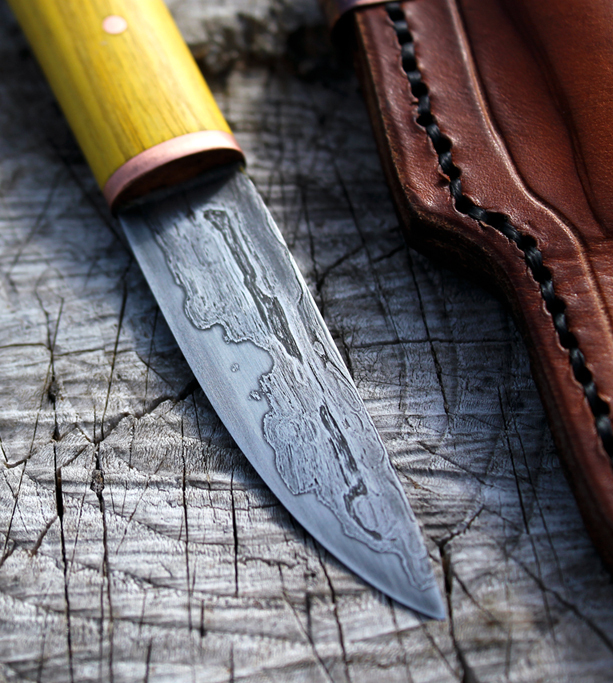 The blade is 1084 high carbon steel. 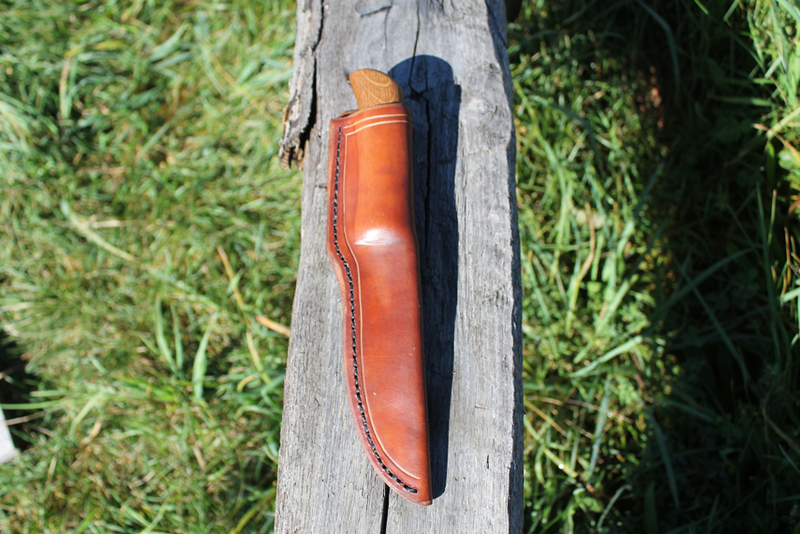 The sheath is veg tanned leather with a sterling silver pocket clip. 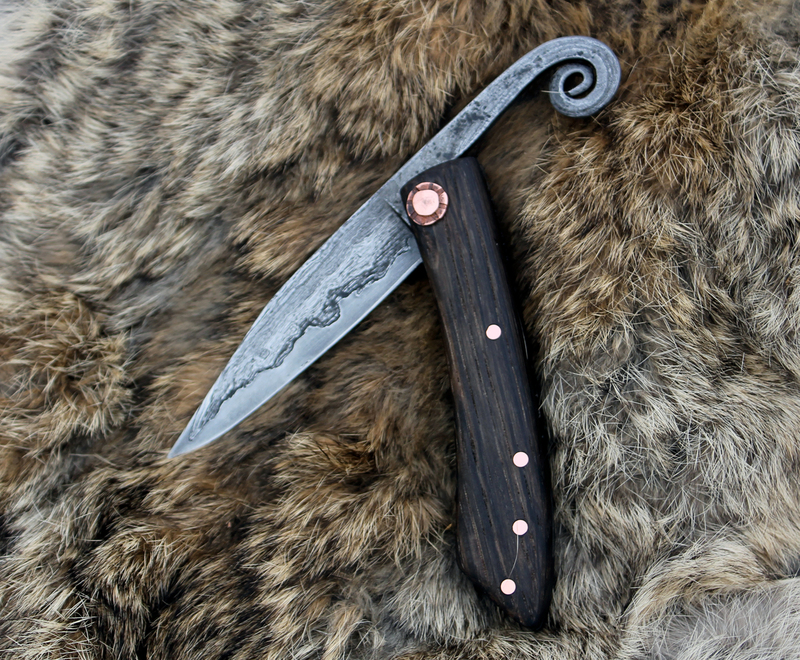 I haven’t posted in a while, so I figured I’d share a few commissions I’ve been working on. 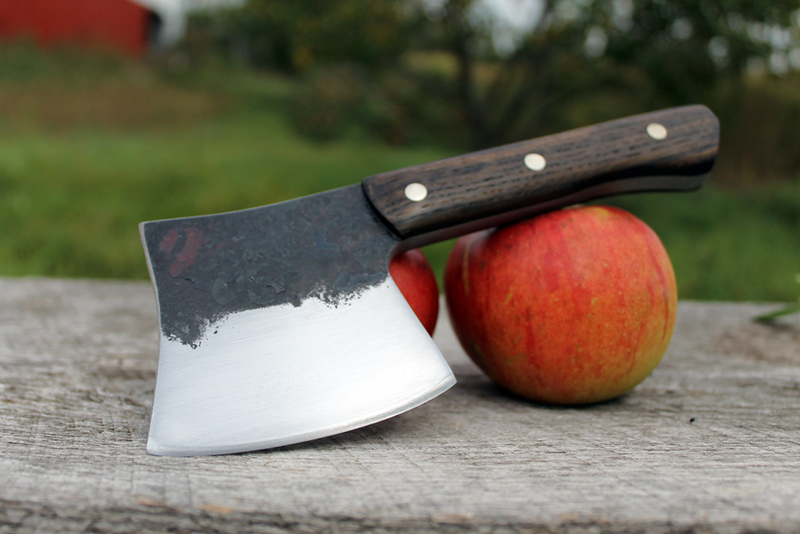 They are all laminated blades. 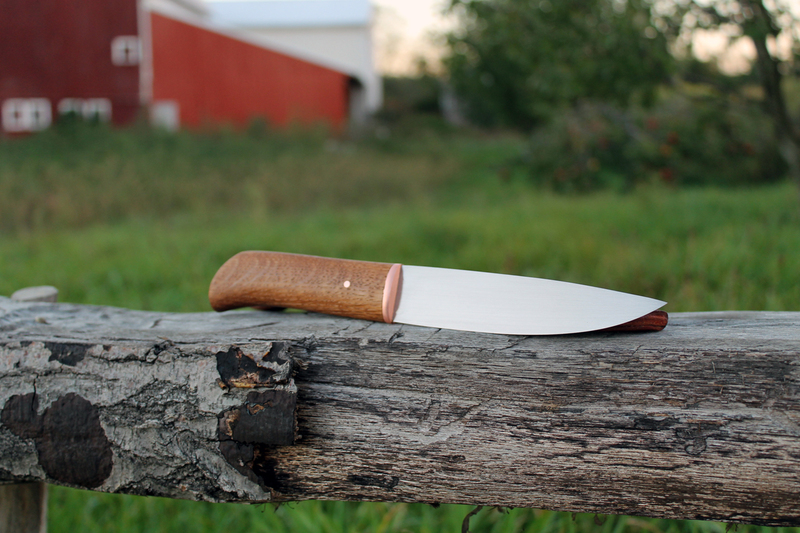 The first is a walnut, antler, and copper handle. 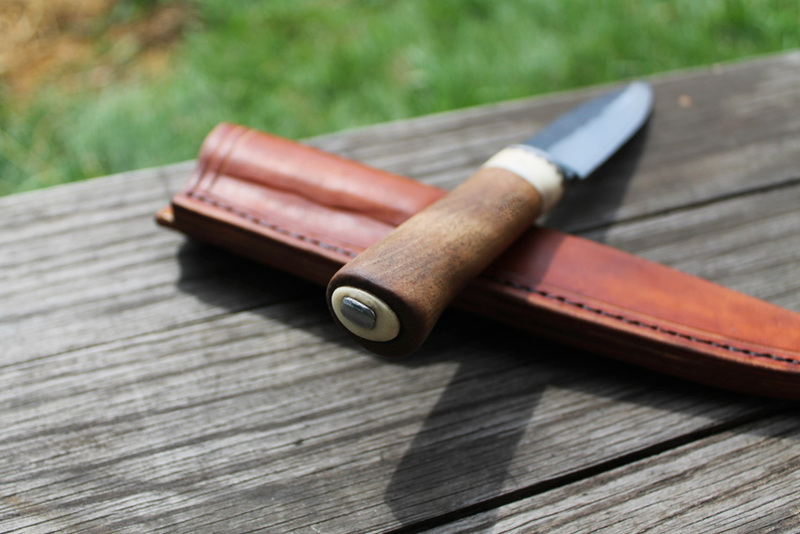 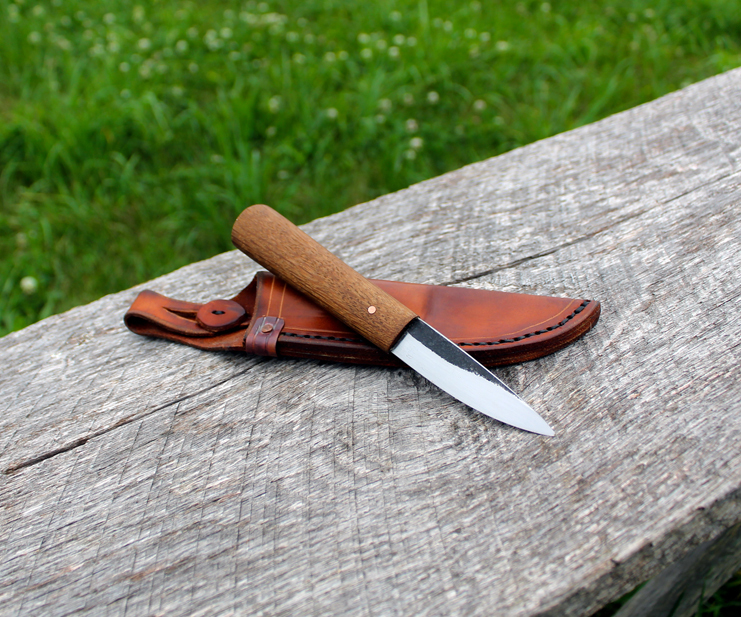 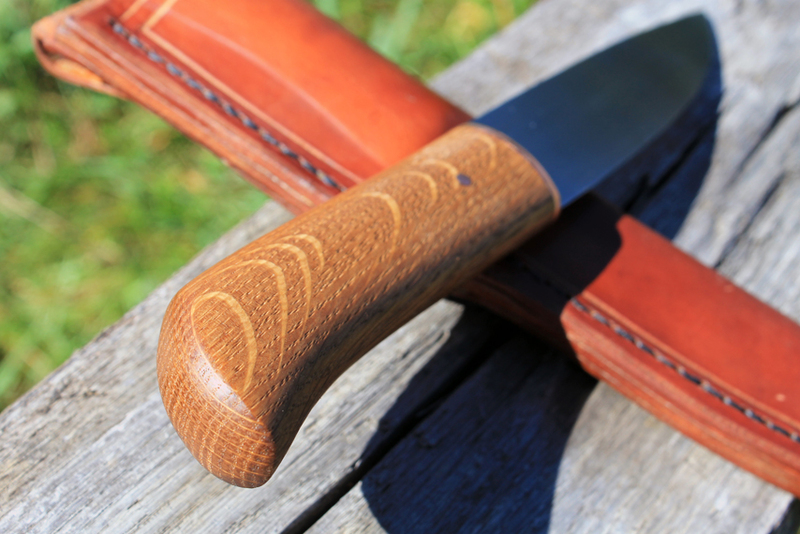 The next is a friction folder with a black oak handle, and the last is a Dogwood handle.